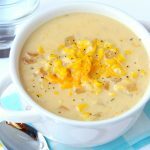 10 Minute Corn Chowder – A delicious, creamy chowder with simple ingredients that comes together in a matter of minutes! This post is sponsored by alli®. All thoughts and opinions are my own. One of the things I love about soup is that it’s perfect for lunch or dinner. . .any time of the year. 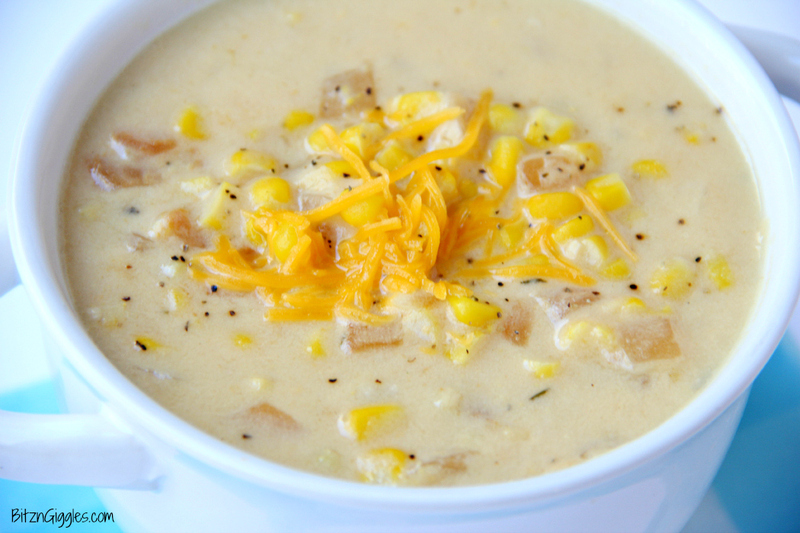 When I need something quick, easy and delicious, I often turn to this 10 Minute Corn Chowder. 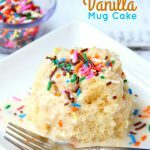 It’s sweet, comforting and always hits the spot. 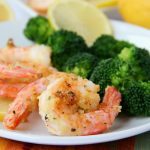 I don’t know if this happens to you or not, but very often, lunch (even dinner, sometimes) sneaks up on me and I have nothing prepared! I get busy with work, and all of the sudden, my stomach starts growling, I look at the clock and I begin to panic a little. 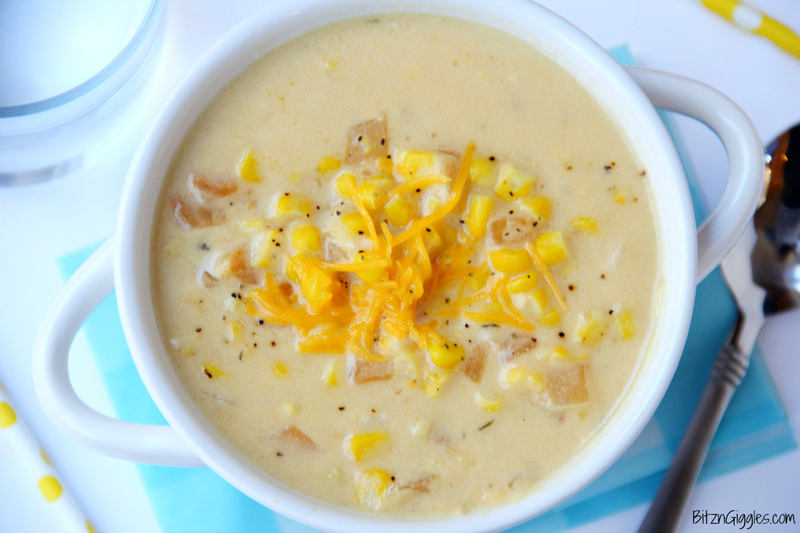 That’s when I think of this Corn Chowder. 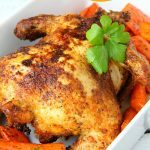 You can throw this together with items you already have in your refrigerator or pantry. That’s MY kind of recipe. I’m assuming you’re probably okay with that, too, right? 😉 I’m also assuming you’re here because I said – 10 MINUTES. Well, good, because it’s true. It really only does take 10 minutes to prep this soup and get it on the stove top. It starts with sautéing some garlic and onions. Then mixing together some milk, flour, mustard, seasonings. . .
adding the corn. . .and letting it simmer for a bit so the flavors have a chance to meld, and the chowder takes on a beautiful golden hue. That’s when I know it’s time to eat. I often remove the skillet from the heat and allow the soup to thicken up even more. Chowder should “stick” to your spoon. You know what I’m talkin’ about? 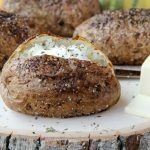 For more great recipes, check out myalli.com/recipes-for-you! 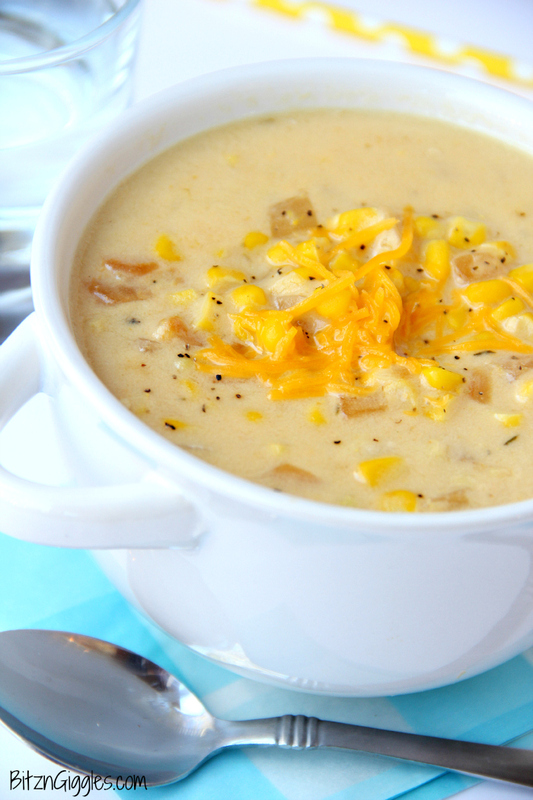 A delicious, creamy chowder with simple ingredients that comes together in a matter of minutes! Heat a large non-stick skillet over medium high heat. 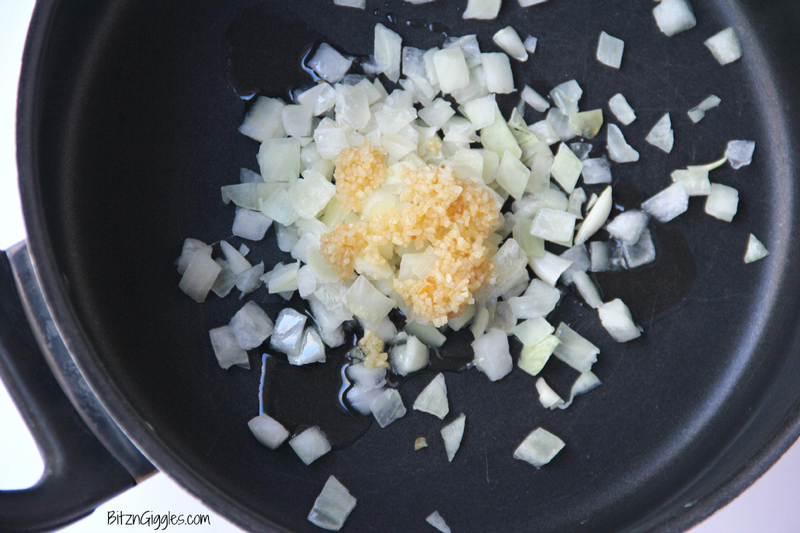 Add the oil and sauté the onion and garlic until golden, about 2 minutes. 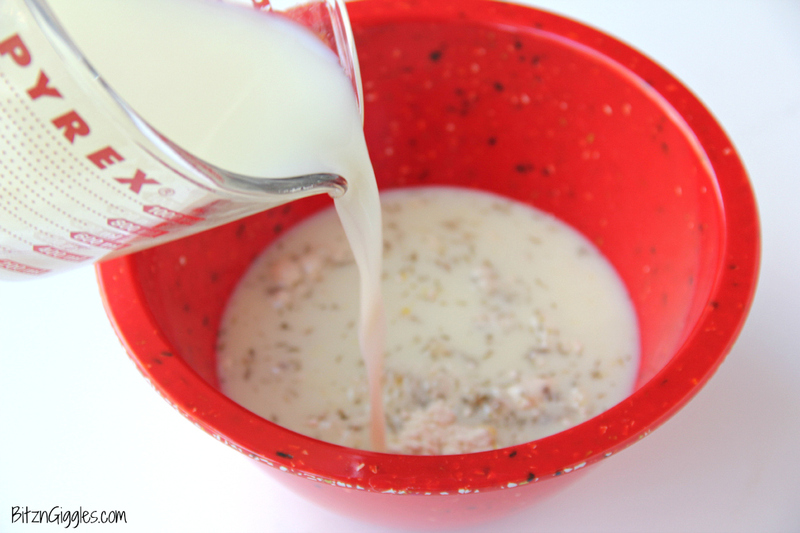 Place the milk, flour, mustard and seasonings in a small bowl and mix well. Add the milk mixture to the skillet followed by the corn; mix well until the mixture comes to a boil and thickens, about 3 minutes. Stir frequently to keep the mixture from burning. 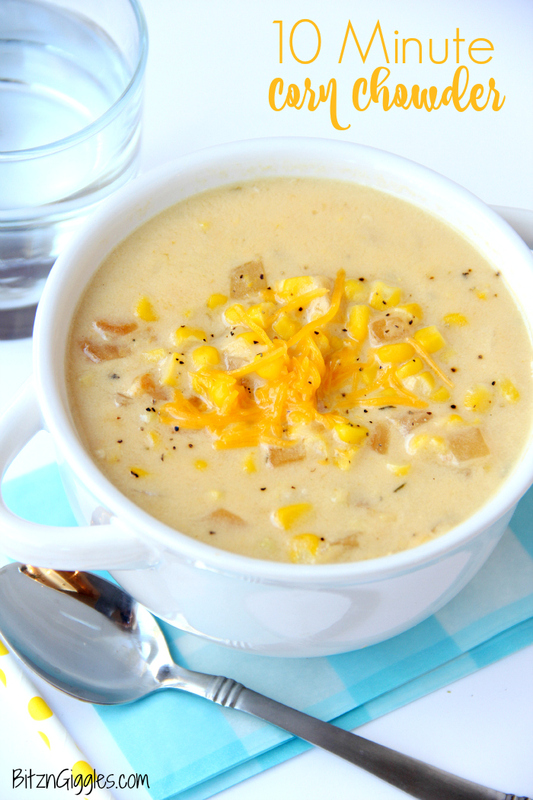 Divide chowder into four serving bowls and top each with 1 tablespoon of shredded cheese.